Forer then asked each student to evaluate the accuracy of the evaluation above on a scale of 0 ("very inaccurate") to 5 ("exceedingly accurate"). The class average was a staggering 4.26. And guess what... everything (yes, everything) you need in order to generate the Barnum Effect in women is covered inside the Barnum Manuscript™: an official Shogun Method® addon module. 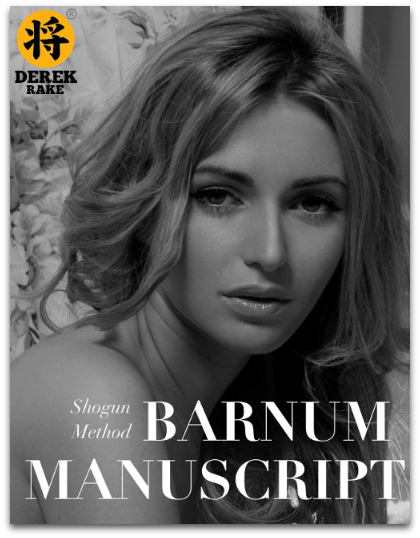 Get access to the Barnum Manuscript for only $49. Delivery is instant, and your purchase is protected by our standard 60-day money back guarantee.